NISSAN shareholders today approved removing former chairman Carlos Ghosn from the Japanese carmaker’s board. The approval was shown by applause from the 4,000-plus people gathered at a Tokyo hotel for a three-hour extraordinary shareholders’ meeting. Other votes had been submitted in advance. Chief executive Hiroto Saikawa and other Nissan Motor Co executives bowed deeply in apology to shareholders attending the meeting. Shareholders also approved the appointment of French alliance partner Renault SA’s chairman Jean-Dominique Senard to replace Ghosn. Renault owns 43 per cent of Nissan. Senard, who was introduced to the shareholders at the end of the meeting, thanked them and promised to do his best to keep the carmaker’s performance on track. ‘I will dedicate my energy to enhance the future of Nissan,’ he said. They also gave the green light to removing from the board former executive Greg Kelly, who has been charged with collaborating with Ghosn in the alleged misconduct. Angry shareholders demanded an explanation for how wrongdoing on an allegedly massive scale had gone unchecked for years. The meeting was closed except to stockholders but live-streamed. One shareholder said Nissan’s entire management should resign immediately. Saikawa said he felt his responsibility lay in fixing the shoddy corporate governance at Nissan first, and continuing to lead its operations. Another shareholder asked if Nissan was prepared for a damage lawsuit from shareholders since its stock price has plunged. 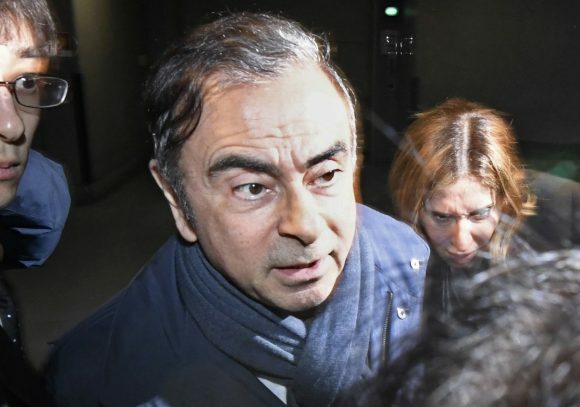 He outlined the findings of an internal investigation, such as payments of a consultation fee to Ghosn’s sister for 13 years. The investigation had also found too much power had been focused in one person, he said. 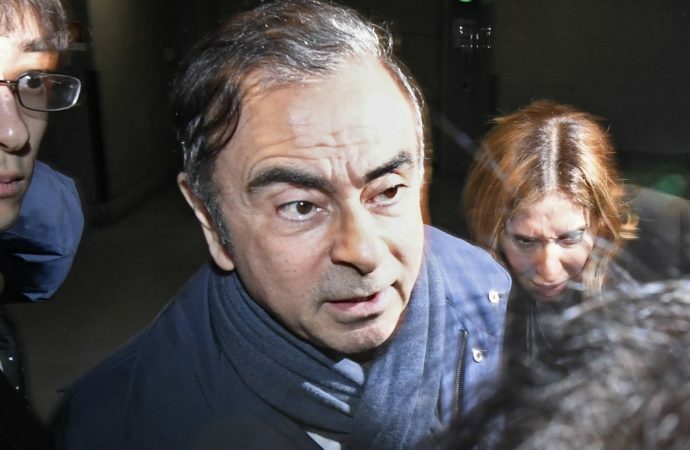 Ghosn says he is innocent of all allegations and has suggested the accusations were made by some people at Nissan hoping to remove him from power. He has been charged with under-reporting his compensation in financial documents, and with breach of trust in having Nissan shoulder investment losses and making suspect payments to a Saudi businessman. Ghosn says the compensation was never decided on or paid, no investment losses were suffered by Nissan, and the payments were for legitimate services. He was arrested in November, released on bail in early March, then arrested for a fourth time last week.